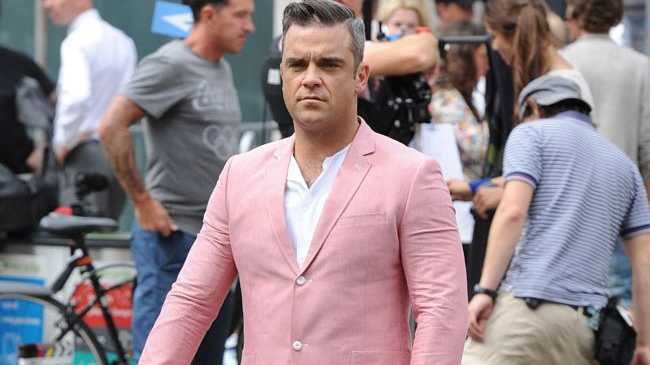 ROBBIE Williams "retired" but didn't tell anyone. The 39-year-old singer left three years between albums 'Rudebox' and 'Reality Killed the Video Star' and he has revealed it was because he had decided to leave his career as he was "scared of the world" and no longer knew where he belonged. Discussing his 2009 comeback, he told Q magazine: "Actually what happened was I'd retired. I didn't say anything but I'd retired. "I'd lost all my confidence and I was really f***ing scared of the world and scared of my place in it and scared of the industry. You know when Superman loses all his powers in 'Superman II'? I felt as though I'd given up my powers and couldn't do the thing that had commanded 135,000 people at Knebworth. All of a sudden, I didn't know how to do it. I'd got an album together but I was terrified to promote it." The following year, Robbie rejoined Take That and says it was the perfect "camouflage" to regain his confidence and return to the spotlight. Their album as a five-piece, 'Progress', was a huge hit and their went on a sold-out stadium tour and Robbie was able to get over his stage fright. He said: "I needed to come back whilst being camouflaged. So Take That was the perfect vehicle to do it. "You know, people were talking about me doing it because my career was in the dumps. I'd just toured to three million people five minutes ago. People like to assume there's an ulterior motive to everything."